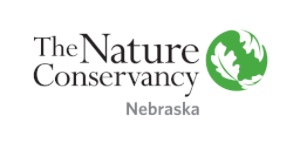 The Nature Conservancy protects Nebraska's natural heritage by promoting the health of prairies, rivers, and wildlife, combining the best available science with an entrepreneurial spirit. $25 helps a mentor travel to a beginning rancher’s house to talk about sustainable grassland management. $50 helps to protect a bison and its habitat at the Niobrara Valley Preserve. $75 helps clear a riverbank of invasive plants. $100 provides an acre of native seed for a restored prairie. $125 houses a researcher for a week. Your donations help to support one of the most biologically diverse and beautiful places in Nebraska – the Niobrara Valley Preserve (NVP). Over thirty years ago, The Nature Conservancy made a huge strategic investment in the conservation of the Niobrara River and its iconic valley. With the purchase of two ranches from willing sellers, the Conservancy created what is still the largest nongovernmental wildlife area in the state: the Niobrara Valley Preserve. This is particularly significant in Nebraska, which has the lowest percentage of conservation land of any state except Iowa. The investment was strategic, too, because it helped secure permanent protection for 26 miles of the Niobrara River. The Preserve is a keystone of a 30-mile segment of the Niobrara River that biologists call the biological crossroads of the Great Plains. Six ecosystems converge there. More than 600 plant species and 85 butterfly species have been documented on the NVP. 268 species of birds have been reported, making it one of Nebraska’s most bird-rich regions. This land, with its unique stands of aspen and birch, is known for its prairie grasses and species adapted to those grasses. Visitors to the Preserve enjoy two nature trails. Two bison herds help manage acres of prairie that stretch as far as the eye can see. While the Preserve is operated as a working ranch, donations help the Conservancy host groups of students and researchers and meet our management goals so that this special place reflects Nebraska’s natural heritage – forever.